And thank you for writing this manga, Kenjiro Hata-sensei! I liked the tone of this chapter, although that timeskip did come from out of nowhere. Perhaps Hata needs to end this series earlier than expected... it's a shame, but I still enjoy this manga for what it is. This chapter may have brought us the last fun moments (only?) we'll ever have with Nagi and Maria, so enjoy it for what it brings and stop complaining. I'm feeling a bit sentimental right now just after reading this. Do wait for DKThias translations for full accuracy as I am in no way proficient enough to be translating manga. I have some special fanart and other stuff to talk about later, so enjoy the synopsis (if you want) while I organize my thoughts. Nagi is 14 now... that makes me feel somewhat nostalgic... and she looks absolutely beautiful in that dress. Also, I'm not sure if it's just a projection of Nagi in her 14th birthday or if it really is a timeskip. Based on the narration, it seems like a timeskip, but just wait for the unofficial scanlations from DKThias or ask someone better in Japanese if they know. Chiharu, Aika and Hinagiku in the background. Maria: It's been a long time since the two of us went fishing. Maria: Anywayz, do your best or there will be no side dish for today. Nagi: People still do that? Nagi: Well, I guess it can't be helped... then, time to go fishing. Maria: Ah, there it is! Maria: Oh, it's pulling hard. This must be a big one! Maria snags some piece of broken stuffed toy's head. Maria: This looks kinda familiar. Nagi: Isn't that a character from the amusement park? Maria: I haven't seen it for a long time. 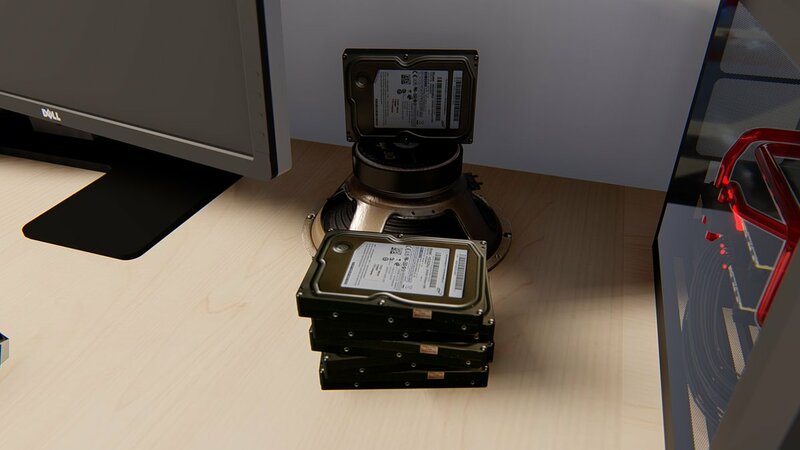 So it died in a place like this. Nagi: No, no... he's not dead. I'm sure the person who wore it is just fine. Maria: It seems various things have been dumped into this lake. Nagi: Yup, even though it's in my front lawn. Nagi: Anyway, it's my turn to try. Nagi: But it has a weak pull. Maria: Oh, then maybe it's another piece of debris? Nagi snags a small damp booklet that says something like "Ultimate Attack"
be an expansion. It's now a phantom book. Maria: This place has really become an illegal dumping ground huh? get). Surely, this must be illegally dumped! Maria: Stop it with that line of thought. Nagi: Is it a real fish this time? Nagi: Isn't it okay to say the name? Nagi: Koi? It's been a while hasn't it? It must be a monster fish. A throwback to vintage Hayate no Gotoku! Maria: Well, that is an extremely big Koi isn't it? Nagi: No, no... where are you even going with this gag? Maria: Anyway, it hasan't escaped yet. I'll show you I can catch this fish. Nagi: Eh? No thank you! I don't want such a disgusting fish. Nagi: A monologue! This fish is doing a friggin monologue! develop the ability to speak. Nagi: Not at all... isn't it about time you let go of that rod? Maria: WHAT ARE YOU TALKING ABOUT! Maria: A maid must stake her life on her dishes! Maria: Could you go into the water and catch it with your bare hands? Nagi: In any case, I ... definitely... won't you let it go! Nagi: See? In the end, we both got wet! Maria: Why is this so muddy anway. Maria: That's why you should just let go of that rod! Maria: Well, well, looks like tonight's side dish is nothing. Nagi: Eh? But I worked hard, please make it! Nagi: ARRRGH Why are you being so stubborn? Maria: Well, I think there something in my underwear. Nagi: Seriously, whose fault is that? Maria: Fufufu... seriously... you... seriously. Nagi:This isn't the time to laugh! And so after a month and a half. Surprisingly, the ordinary days continued. 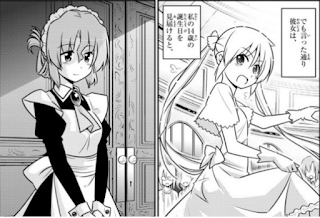 With Hisui and Himegami's case aside, the maid did not talk about quitting. The unchanging daily slapstick continued. But then as promised, she watched me until my 14th birthday. And then leaving behind a single letter, like the wind, she just disappeared. Don't worry, baby! You'll be ok! ... Is that Athena's ring box? Review: Let me just say that I absolutely loved the pacing of this chapter. It had me teary-eyed by the end... and no one is going to rain on my parade and try to convince me otherwise. Yes, it wasn't perfect, but it was well done IMO. There are definitely things that could have been improved upon, but personally, I am quite satisfied with what we were given. I love how her expression goes with just about anything here. First of all, this chapter really triggered some fond memories of the series for me. The type of comedy used here really goes back to its slapstick comedy roots with that dragon appearing from out of nowhere. Yet, as the last few pages of the chapter winded down, we see some sentimental looks from Nagi and Maria -- but mostly Maria. It was great to see Maria goofing off and being all childish while Nagi was all serious business. It's a rare role reversal in this series and really drives the point home that Nagi is now a mature, independent girl who can handle herself -- and that Maria herself is still just a teenager who wants to have some fun every once in a while. The contrast in their reactions in this chapter was just magical as well as funny to watch. With Maria's subtle expression changes, it felt as if she was saying her final goodbyes to us -- the readers. I knew at the point when she looked back at Nagi with those kind eyes that she was probably saying, "this might be the last time, so have a good laugh while you can." In fact, she does exactly this. I think this is the first time that we have seen Maria laugh so openly in the series. By her own admission, she had a really good time, but more than this, I feel she's also acknowledging Nagi's growth even more -- especially when she sees that it's Nagi, the girl whom she raised like a daughter/little sister all this time, who is now admonishing her for not taking things seriously. It was a nice intimate moment of bonding between Maria and Nagi. Perhaps they've shared similar moments before (just not fishing), but it was never explicitly shown in this manga until now... and it sets us up perfectly for the next plot twist. After that time skip to Nagi's 14th birthday, Maria just suddenly disappears leaving a note behind for Nagi. The implications of that note aren't clear, but what is clear however is that this manga is really ending. For one, I think this is the first time that Nagi has ever acted as a narrator. I had to do a double take when I saw that because it was really off-putting. I've never seen/read Nagi do a narration before -- especially not a serious one like in this chapter. Maria Looked Like "Fresh 17 Year Old"One thing that I noticed in this chapter was that Maria looked really young. I think it was very intentional on Hata's part given her seemingly carefree attitude here. Her eyes were wide and innocent and she was quite playful -- to the point of annoying Nagi. It might be a "last minute character development," but it was done quite well, in my opinion. Of course, this chapter wasn't perfect. There seem to be some rumors that Hata is being forced to end this series earlier than expected. Whatever the case may be, I wish him the best of luck. I don't really like following production drama, but I do hope that he does the ending justice. So what I didn't like: Well, Nagi has foreshadowed since time immemorial that Hayate's birthday -- especially the present that she'd buy him, would be an important event in the manga, but it seems we won't even get to see that. We skipped right to her birthday and Hata didn't even dedicate a chapter to that. 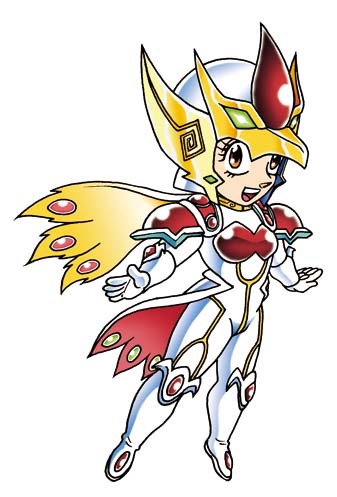 While I'm at it, Athena's birthday just flew past without so much as a mention. I think it's really a lot of wasted potential that we weren't shown Hayate's birthday, but if it speeds the series faster towards its conclusion, then it's ok with me. It's not ideal, but I can accept it. At this point, I'm not really scared for my ship anymore. What I am more scared of however is that Hata will waste even more potential by never having the bomb go off. "There is a bomb between them." This bomb was always meant to go off and I believe that the best type of ending for this story can only be pulled off this way. But given the precedence that Hata has now set with this chapter, I am a bit apprehensive that it might not happen. Fanart Corner: Together with my fanart for this week (Nagi in a virgin-killing sweater drawn just today), I have a special fanart drawn for me by Denzil. It's Nagi with long hair not in twin tails. Also, if you guys want your fanart or even articles featured here, please do tell me. 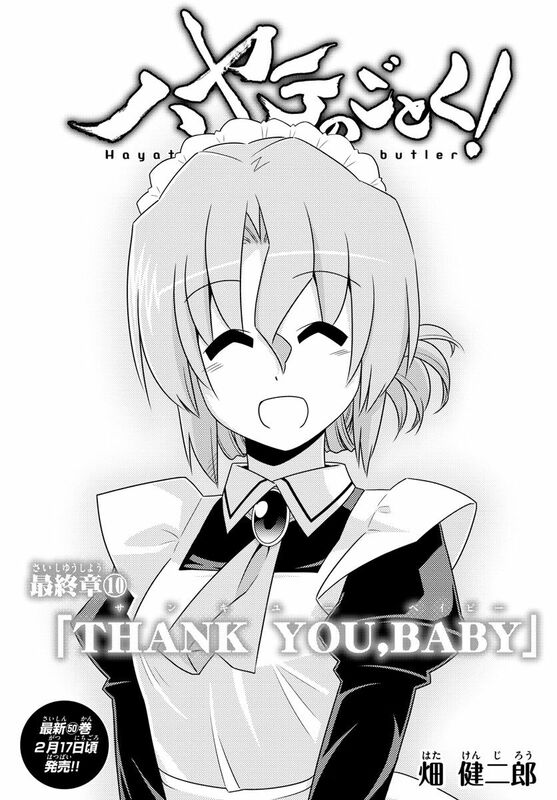 I'll even let you post on this blog for all your Hayate x Nagi or Hayate-related articles in general. Thanks, Denzil! I love it! Well that was sudden. What a lovely little nostalgic chapter though. I guess I'm not entirely surprised by the timeskip as I was expecting one had to happen at some point just not quite this quickly. 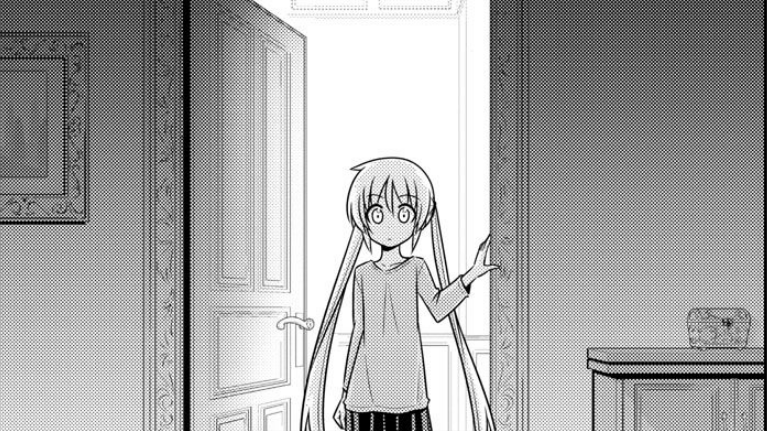 It makes sense that devoting chapters to Hayate and Nagi's respective birthdays, while lovely to see would just put the brakes on the final arc's momentum. Now that we're in December and past all the birthdays otoh, there is nothing left holding back the plot from concluding. I imagine the end is very near. I wouldn't underestimate the importance of Nagi being 14 now either in allowing the plot to flow, tbh. I really loved this chapter myself. Anyway, while I'm ok with not giving Nagi a chapter for her birthday, I really thought that Nagi giving Hayate a watch for his birthday would be an important event. I'm not sure if Hata is undergoing any production/publication drama right now, but I hope not. I keep sending encouraging tweets to him everyday, but I hope he doesn't find it bothersome to have some gaijin with broken Japanese endlessly reassuring him. By the way, would you say it's also a possibility that the bomb might not go off? I agree that Nagi being 14 is probably pretty pivotal to moving the plot towards the finale. I'm just wondering with how this chapter was handled if it's a possibility that the bomb could be defused harmlessly. I would definitely prefer a more dramatic route myself, of course. It's going to be painful to read about Nagi getting hurt, but I feel very strongly that it must happen. i knew it will be sad. the last panel was the moment i wanted to give her a hug. You and me both. She looks so lonely and fragile there. Wait! What just happened? Nagi became 14? Just like that? What about her manga? What about the watch she planned to gift hayate by winning the prize money? Is this a flash forward? Will they show the in between moments in the next few chapters? I have so many unanswered questions. So hayate is now 17? Absolutely unbelievable. I was really looking forward to his birthday. I hope the bomb goes off and they don't skip that too. As for her manga, she couldn't have used the prize money anyway. The results come out by the end of the year, which would have been past Hayate's birthday. Of course, I was hoping they'd show her giving Hayate the watch from the money she earned with her part-time job at Cafe Donguri. Given that Hayate's birthday comes before Nagi, yeah. Hayate is 17 now and Nagi is 14. There are rumors floating about that the end is near... I'm not sure how true that is, but at this point, I'm really just hoping for a satisfying ending with the bomb going off before that happens. Seems maria's role has been completed and she won't have any roll in the royal power business. But isn't it too quick to jump such a vital month just in one chapter only by two characters! Ok, I assume hayate spends the whole time in hakuo and don't want to make memories with maria like nagi. And he may not have gathered the courage to face her. But nagi is not officially declared to be the main heroine to have hayate . This still is the story of the butler, though his views are apparently neglected here. So its hard to believe we don't have any chapter discussing his bday. There Ayumu could understand how weak her position is in the harem. Or hayate could have some funny moments while discussing atan's bday gift. Especially while the bdays of student council trios have been shown so elaborately here. Well some parts may still be shown by the flashbacks.And the royal garden part won't be concluded without the burst of negetive emotions. I think by the letter maria ended her remaining responsibilities (seems making nagi go to school everyday is excluded) nagi that is to tell her about the misunderstanding. As she has been with nagi for the whole time, it is her duty. And all the time spent with maria also created some certain distance between her and hayate. So the vacancy of her heart is probably at its full. Maybe her friends came their to enjoy the party, and all the gained memories can make her at ease. But she seems not to be as involved in writing manga as she thought. So she doesn't has any firm ground on the manga too. And she told she has manga by her if ever maria and hayate leaves while visiting the rainbow village in ruka arc. She is supposed to have the result of the manga competetion soon and if she looses it, she may not have the money to buy hayate's watch, though the proper time is already gone. This seems indeed a crucial point in her life which may open the path pretty soon. Noticebly now they have only a few days before the royal garden destroys. If I have to guess, it will be awesome if nagi keeps the watch close to her during the ups and downs and give that to him when all the problems ends. The watch may play the role of the ring of athena in their relationship. In the 2nd last episode of s1 and CTMEOY ,watch has been shown to have a part in nagixhayate relationship. And in this series both hayate and nagi's father lost the ring, seems it is prone to be lost. I would disagree on one point: In practice, Hayate no Gotoku! may be named after Hayate, but it has always been as much Nagi's story as it is Hayate's story. Check the 10 year anniversary chapter. Hata even points out that this is Nagi's story and of how she met a boy named Hayate who began to work as her butler. 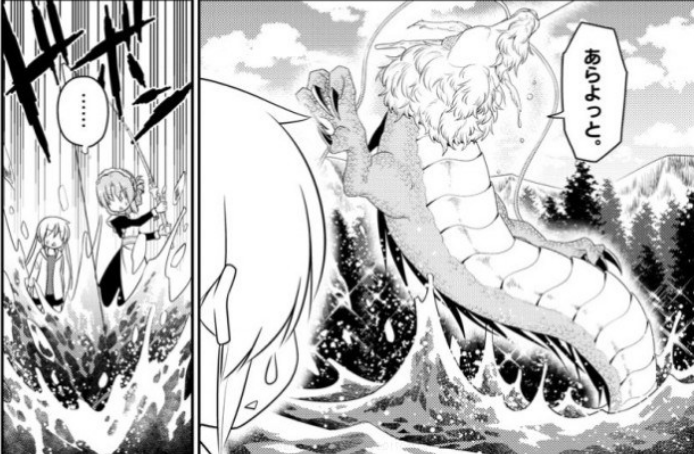 In short, as the prelude to this final arc says: this is the final chapter of their story -- and not just Hayate's. I agree that it hasn't been set in stone that Nagi will be the winner of the Hayate bowl just yet, but at this point, ending him with any other girl will be very complicated and illogical -- not to mention disappointing. I'm going to rule out the "forever alone" ending, because I just don't think that Hata is the type of author who would do that. I think Athena's ring (with Hayate right now) and ring box (with Nagi as you can see in that one panel right here) will play a role in their relationship. My hope is that Hayate gives her the ring after FINALLY seeing her in a romantic light for the first time. Well, hayate can give the ring to athena for helping him out and she can give that to ikusa too. It was athena's idea to use the king like that from the first and thus the athenaxikusa thing can also be settled. I'm glad that you want to talk about Maria. I feel like Hata really did his best to make her role come full circle here. Throughout the series we see Maria scolding Nagi for her childish, selfish actions. In this chapter, from the very start, we see that it's Maria's role to be selfish and kinda childish. It sets the tone for the entire chapter. While the chapter feels like a throwback to Hata's style of comedy back then with all kinds of references and over-the-top events like talking tigers, there's something different in that Maria and Nagi's roles are reversed. Nagi is trying to be the responsible one while Maria is being self-indulgent. And then near the end of the chapter when she looks back at Nagi desperately trying to keep the both of them from being pulled into the water, I think that's meant to symbolize how Maria felt that her role had really come full circle -- so it's time to move on with her life so that Nagi (and maybe Hayate?) can grow as well. As I've said before, I really loved the pacing of this chapter. 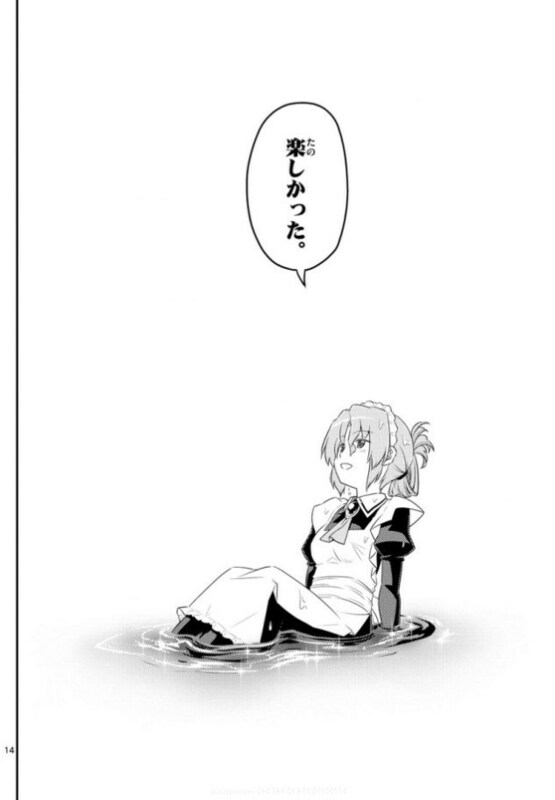 Nagi's narration at the end had me teary-eyed, but I was already feeling sentimental before that when I saw Maria laughing so carelessly as she fell into the water. As for Maria's fate, I really have no idea. She's a genius girl with all kinds of potential, but I feel that her story won't be covered in the manga anymore. I think the next time we see her would be after a 10 year timeskip and we see how everyone else is faring with their own lives. As expected, Nagi is all depressed about Maria leaving. Hayate keeps urging her to open Maria's letter but she refuses. There's a flashback last Christmas Eve who was looking for Hayate to invite him to their class Christmas Party. Anyway, Hayate comes to visit Nagi in her room to invite her to a Christmas Eve party with everyone around -- even Ruka. She's still too depressed so he says he'll go make dinner. Nagi calls out to him. Nagi: Hayate, you're not going somewhere too, are you? Nagi: You'll stay by my side, won't you? Hayate's still not saying it like he means it, unfortunately. He hesitated when she mentioned "love" boo! Stupid butler. I wonder whatever happened to that final battle with Hisui and company? Are we actually going past December 24... either that or chapter 560 will be the finale. So many things have been left unresolved and in order to get a clear answer to those,I think at least 30 more chapters are needed. I really hope things don't get rushed. And besides, hayate really should quit acting like a jerk. He's running away from his responsibilities. I'm really excited about how Nagi would outshine everyone in the hisui himegami conclusion. That is really needed to give this manga a valid and satisfactory ending. Apart from nagi ending up with hayate of course. One ray of hope I can see in Hayate. I said he "hesitated" before declaring that he'd be by Nagi's side forever... but maybe he wasn't. He was shown with his back turned and with an ellipsis (.....) but, maybe he wasn't hesitating but rather, making up his mind. I really want that bomb to go off any chapter now. I think we've really only got a few (maybe 10 or less) chapters left until this series ends. By the way, Nagi looks gorgeous in ch. 559. So much detail on her even though she's super depressed right now. I wish I could see it right now. I couldn't find those spoilers. So many guesses I have made about this arc, so much expectations I have, I really hope the end doesn't turn out to be underwhelming. But I guess I'll just enjoy the story as it continues. I just saw the spoilers. It seems the first page over there will actually be the last page of the chapter. I wonder what kind of thoughts hayate is having. Apart from a few instances,it's really difficult to read him,like the Scorpio that he is. Yup. That first page is definitely the last one. We also see Dr. Kurosu mentioning something about Hayate's brother finally acknowledging Hayate... or something. I'll give it another look later. Anyway, I think we really need some insight into what Hayate has been thinking lately. We haven't had any real reflection on his part about who/what Nagi really means to him. He's been on edge ever since he read the manuscript for Nagi's manga, but nothing has come of it so far. I've been thinking: maybe the final battle with Hisui and company has already come and gone at this point. Perhaps we'll have a flashback from Hayate's viewpoint in the next few chapters bringing us back to December 24 but now we have both sides of their respective stories and it sets us up for a satisfying finale on Christmas eve. But I would like to see a scenerio of them after 10years. There probably won't be nagi as so much famous mangaka as we have crossed the timeline in real world and dont have anyone like that. Still it would be good to see them prospering and shining gorgiously. By the way, (this goes out to anyone out there reading this) do you think Nagi's grown a bit taller since last time? She should have since it's been almost a year since she was first introduced and she's 13-14. I think so. At least she doesn't look 7 anymore. Apart from that, I think the maturity she has gained is also giving her a slight overall modification in appearance. 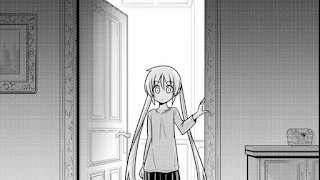 One thing I noticed in that last page is that Hayate actually shut the door and stayed inside the room with her instead of leaving. Knowing Hata, that probably means something... something positive, I hope. Just read the part with Dr. Kurosu. Seems she met Hayate's older brother. Hayate says he still refuses to recognize him as his younger brother. Nagi gets all gloomy and says "I see, so Hayate still has a brother." Hayate fills her in and Kurosu goes "What Maria left and Nagi-chan is depressed?" Then there's that bit where Hayate visits her. I misread the part about Ruka. Hayate was actually saying that Ruka is going to be having her live concert as well and that everyone is going to be having a party on Christmas eve. He was trying to cheer Nagi up... but he doesn't get it. She just needs him and not any of those things... oh well, let's see how things go from here. I wouldn't bet on Hayate ending quite so quickly. For one, endings of long running manga are almost always announced at least four weeks in advance and there's been no rumbling of an announcement so far. 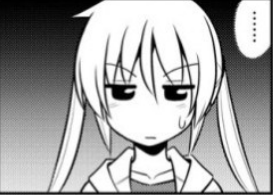 Much more importantly, Hayate had just enough chapters with 558 to fill out volume 51, and even the least popular manga are given enough lenience to close out a volume. It's a book publishing industry after all, ending things in a way that can be packaged and sold for years to come is a vital consideration. To put it simply, 559 puts us at the start of volume 52, which means that almost certainly Hayate will end in 10 more chapters, so the smart bet is that it will end in Chapter 569, + or - one chapter at most. Also, from what I see of this chapter it's still setting up some minor plot points that would be meaningless if it was ending next week. Ayumu looking for a gift, anything having to do with Hayate's brother, Ruka's concert, ect. 10 Chapters is enough for a decent if slightly rushed conclusion assuming we are jumping straight to the climax, which seems to be the case. Hsui will be handled either in a flashback or in a future (short) battle, depending on whether or not Hayate has defeated her yet. The thing that launched this arc was the foreshadowing of the mansion being drawn into the RG just a couple months ago, I'm sure we'll at least get to that point, probably within the next two chapters at most. If the mansion gets pulled into the RG on Christmas Eve that leaves a 24 hour countdown where they have to get out before everything explodes, which I suspect is a suitable enough final plot point. Hayate will have less than 24 hours to confess to Nagi or they all die, basically. Though with the slow passage of time stretching it out a bit, mind. Thanks!That was pretty informative and reassuring. My main apprehension would be that if Hata is really under some heavy pressure to end it quickly, he could just add a few more chapters and then release that together with volume 51. Sorta make the final volume extra long... in any case, no point worrying about it, I suppose.